I’ve been saying for months that I’m going to start a blog. Well finally, here I am starting things off. I wanted to have a place to talk about some of my favorite things. So let me break down the things I love for you and the things I’m going to be blogging about. First and foremost: Cleveland. Or as I call it – The CLE. I get it. It’s not New York, Miami (shudders), LA, or Chicago. But this city is my love. 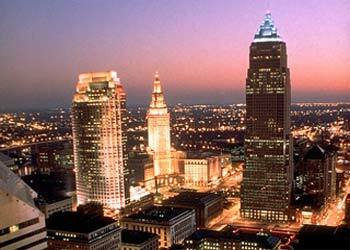 There are so many things in Cleveland to do, see, and be a part of. I honestly cannot imagine leaving this place – at least not anytime in the near future. Expect plenty of more thoughts on Cleveland, Cleveland’s future, changes in the CLE, and the best of the best of CLE. Along with Cleveland, my next love…and I mean LOVE…are the Cleveland Browns. There is nothing that I love more than when summer hits and the Browns players start to show up in Berea, preparing for the season. I go to the home games, tailgate in Muiney and/or the Pit, wear my Peyton Hillis or Joe Thomas jersey for good luck and can hang with the best of the Dawg Pound. I’m excited for the upcoming season and cannot wait till July for training camp! I have a slight shopping habit. I honestly love going to the mall, the smell, the people, and of course – the fashion. I’m a huge fan of Express, the Limited, and H&M. My career is in advertising, PR and marketing and I work for a fantastic agency in Downtown CLE. It’s been a change from my past experiences with working in the non profit world but I’ve loved every minute of the transition. I know that this is where I’m supposed to be and cannot wait to continue to learn more. My friends are a huge part of my life. I’m lucky to have such amazing friends that I’ve gone through some tough times with but we’ve always come out stronger. Whether it’s been health issues, relationships, careers or school we’ve been through thick and thin together. I’m looking forward to more experiences with them and of course, more laughs. Being a 20-something. Talk about a transition. I see 30 right around the corner and there’s so much I want to accomplish before then. The quarter life crisis. Been there, done that. I really believe last year was the year I experienced this. I’ll be writing about that soon enough though. I’m looking forward to sharing more, writing more, and experiencing more in the next year. 2011 has been great so far and I know there’s a lot more to come. This entry was posted in Uncategorized and tagged 20-Something, Addiction, Brownies, Career, Cleveland, Loves, Me, The CLE, Transition. Bookmark the permalink.